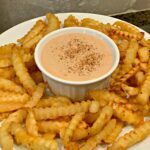 This Southern Comeback Sauce is the perfect dipping sauce for French fries, hot dogs, chicken tenders, or even as a dressing! 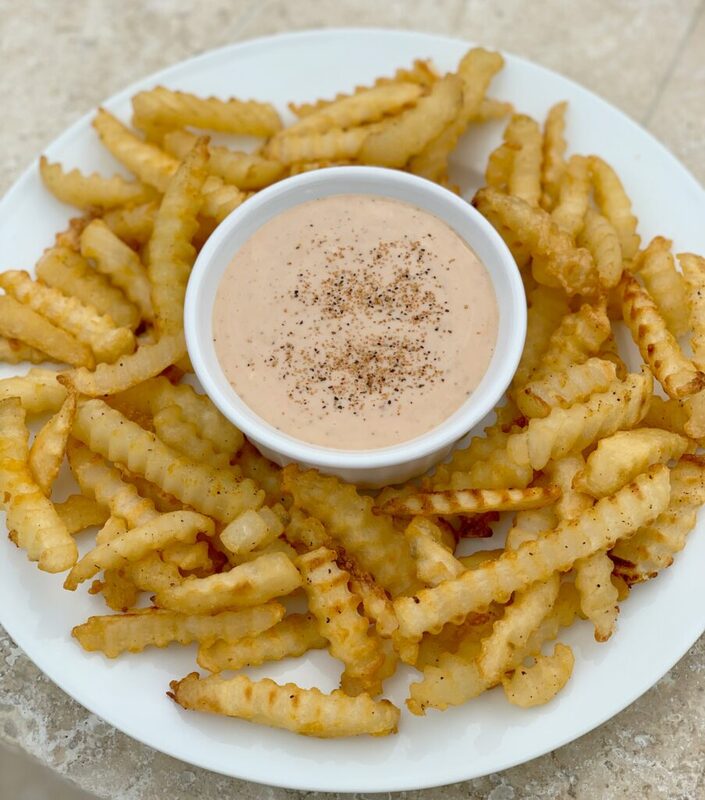 Have you ever been to Zaxby’s and had their dipping sauce? I have only had it a handful of times, but each time I try it, I thoroughly enjoy it! The flavors combine perfectly into a sauce that is so versatile! 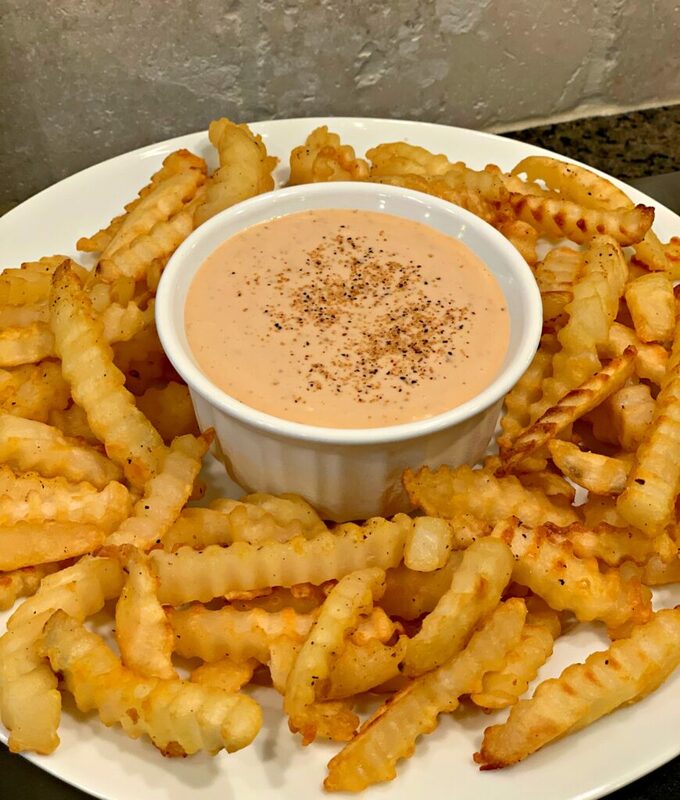 Since I rarely go to Zaxby’s, but sure love a good dipping sauce, I decided to whip up my own at home version! We use ours to spread on our burgers and dip fries in, but my daughter LOVES dipping her chicken nuggets into it! Not overly spicy, you can adapt it to suit anyone! If you prefer heat, kick it up a few notches. If not, keep it as is! Very simple to prepare and stores great in the refrigerator! Place in a sealed container for up to 2 weeks, so you always have it on hand! Interesting fact, Southern Comeback Sauce actually originated in Jackson, Mississippi at a Greek restaurant where it was known as their house dressing. The name comes from the Mississippi tradition of saying “y’all comeback” versus “goodbye”. I’d say this sauce definitely fits the name because one bite in, you’ll definitely come back for more! If you’re hosting a get together, attending a BBQ, or simply looking for a way to enhance your meal….I definitely recommend trying this as its incredibly simple to prepare, and you probably already have the ingredients needed on hand! Perfect for the upcoming summer weather headed our way! Enjoy and let me know what you think! 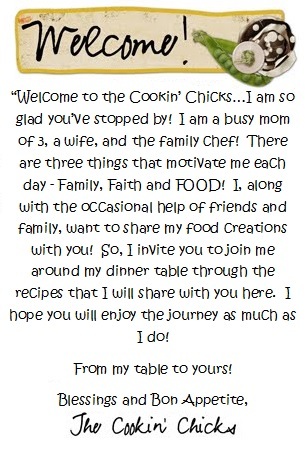 Use the hashtag #thecookinchicks and post a pic for me to see on Instagram! *Don’t forget to sign up for my newsletter below! 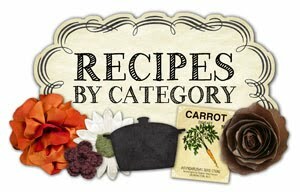 You’ll receive my latest (and greatest) recipes sent directly to your inbox!